A tankless water heater is one of the most efficient and cost-effective options to get hot water in your home. A tankless system delivers hot water on demand, and takes up less space and uses less energy than a traditional tank water heater system. Tankless water heaters are an investment in your home, and can last for up to 20 years when properly maintained. Like any appliance in your home, tankless water heaters require some maintenance to keep them performing well. Here are 8 steps to keep your tankless water heater in peak condition. When performing inspection or maintenance on your tankless water heater, the very first thing you must do is to turn off its power source. Most tankless water heaters use either gas or electricity, although some use kerosene or even propane. Turning off the main gas outlet or electricity source at the circuit breaker makes the maintenance process safe. You must close the water valves to prevent water from entering the tankless water heater. This also prevents any heated water from exiting during the cleaning process. There are usually three color-coded water valves to shut off. A blue valve controls cold water, a red one controls hot water and the third controls the water between the main water supply and your home. Close all three of these valves before beginning the maintenance process. Your tankless water heater has purge valves which help control pressure build up. Each has a small handle that looks like the letter “T.” You will need to slowly remove the purge port valve caps to relieve any pressure build-up in the purge valves. This also prevents hot water from rushing out, which could burn you. Your tankless water heater may have come with hosing lines, but if not, you can purchase some from a home improvement store. The hosing line can be used to connect the water heater to a flushing bucket. You may need to connect the hoses to a sump pump. This allows the hot and cold water valves to flush through and discharge water from the tankless water heater unit. For specific instructions, it may be helpful to consult the manual that came with your particular tankless water heater model. Open the port valves by twisting them until they are perpendicular to the water valves. You can use a conventional descaling solution or approximately 2.5 gallons of pure white vinegar to clean your tankless water heater. Many homeowners prefer vinegar because this natural option is generally considered safer. Once you have everything in place, you can flush and drain your water heater using the instructions from your manual for guidance. For thorough cleaning, your water heater should flush and drain to the bucket for approximately 45 minutes. After the flushing is completed, you can close the port valves, and then disconnect the hosing line from the water valves. You can then carefully reseal the purge valves using their port caps. Once you have completed the cleaning process, you can restart your water heater unit, following the instructions in your manual. This will also involve turning the water valves back on. When you do this, air will pass through the water pipes. You can turn on your faucets to clear air from the line and get hot water flowing properly again. This will take approximately two to three minutes. Cleaning a tankless water heater ensures that it continues to function with the greatest energy efficiency for more effective results. 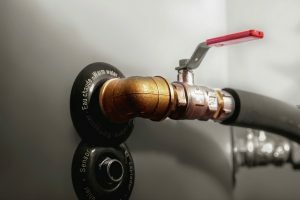 Although tankless water heater maintenance can be done yourself, not everyone has the time or mechanical skill to do so. 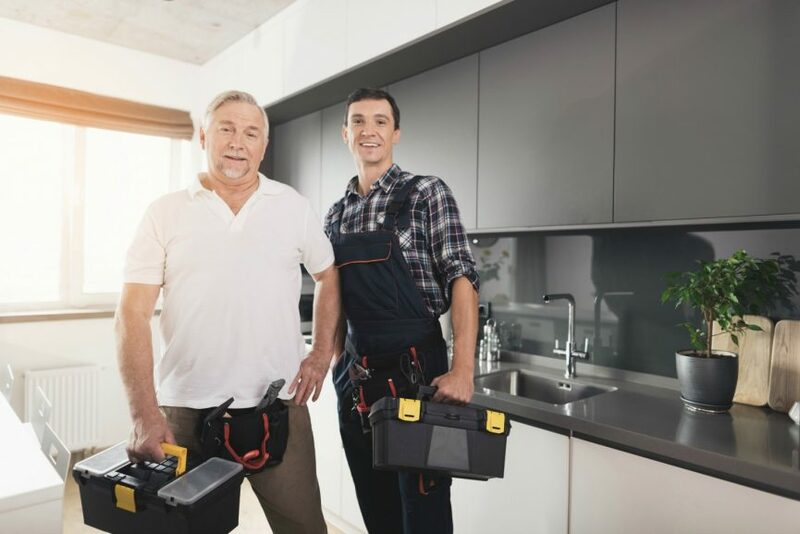 A professional plumber can provide efficient maintenance ideally tailored to your heater model, so you can enjoy on demand hot water without the maintenance stress.